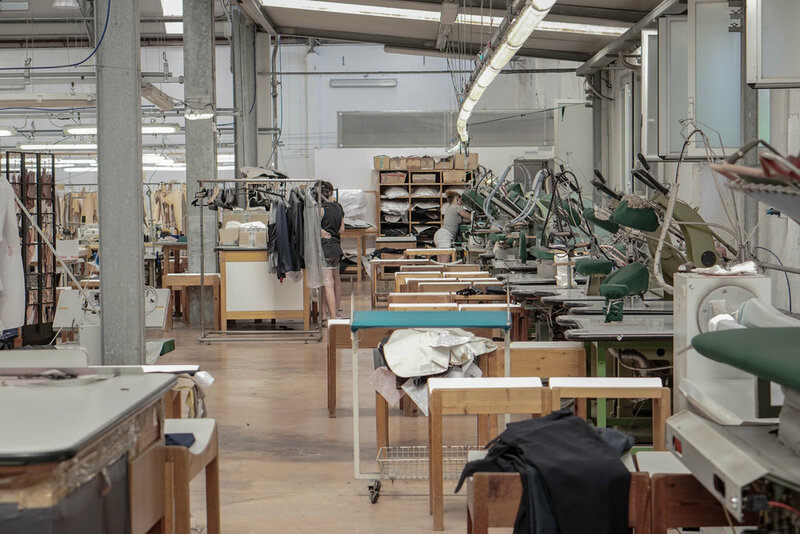 Of course, Italy has a rich tailoring heritage, but today there are only a handful of bespoke operations able to work at scale with brands like ours. Our search for the right partner was long, but we knew it when we found them. We have a fantastic relationship with our workshop. 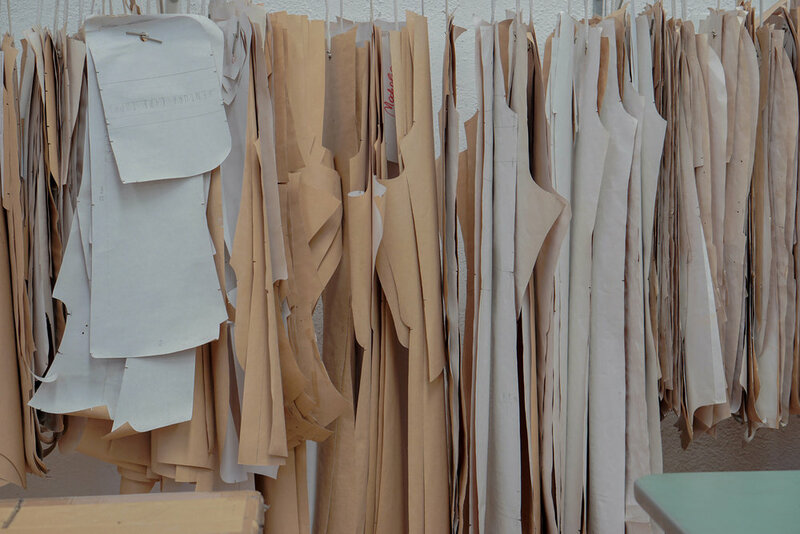 They share our passion for quality and we work closely to continuously develop our range of garments. The place has a genuine artisanal feel. As the owner says, they put soul into every garment they make. 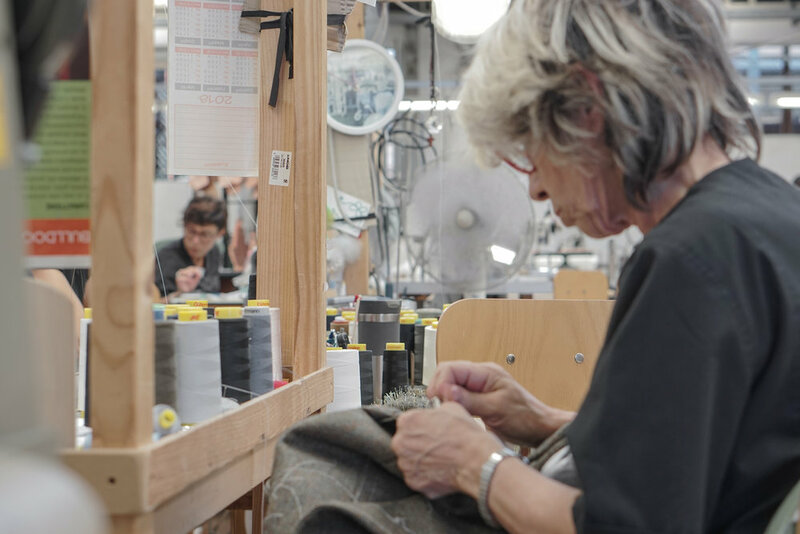 Founded twelve years ago, they were spun-off from another workshop with fifteen years experience making suits before that. Some of the original staff still work there. 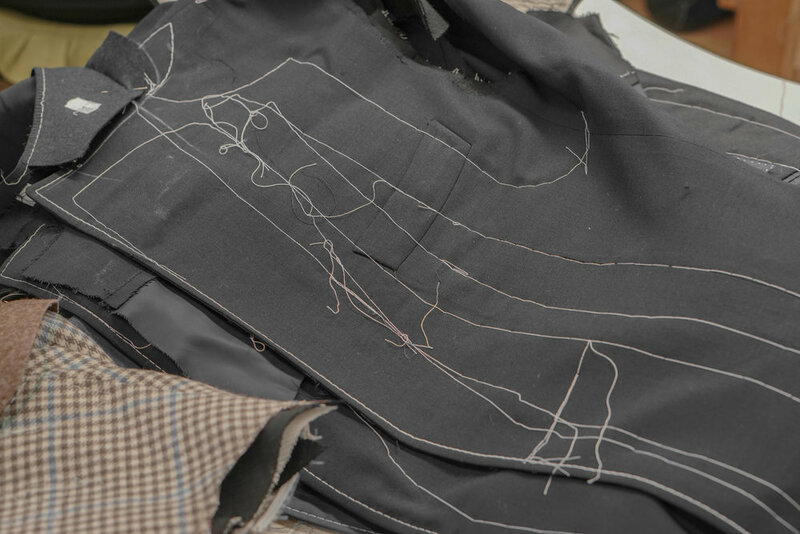 The quality of construction and handwork going into every garment is exceptional. They are leagues ahead of more industrial facilities that produce thousands of suits every year. In fact, they are among the very best in the world. 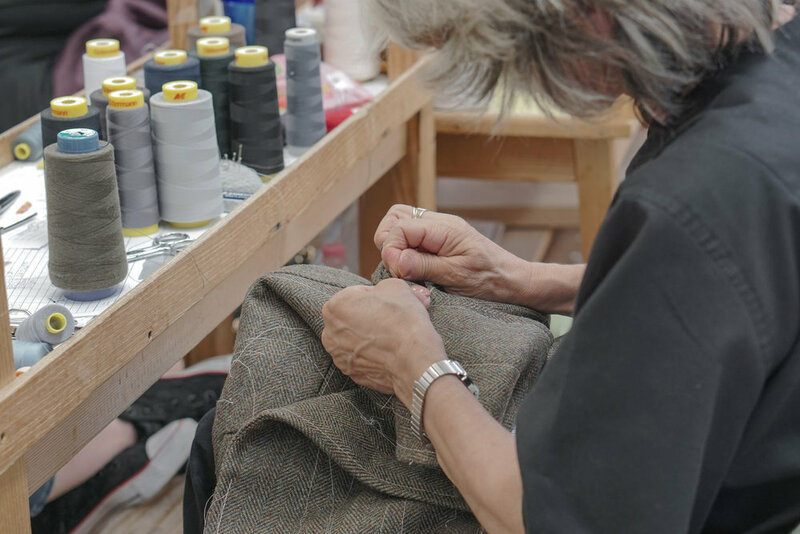 All our garments are made by hand and are fully canvassed. We offer three constructions with increasing levels of handwork. 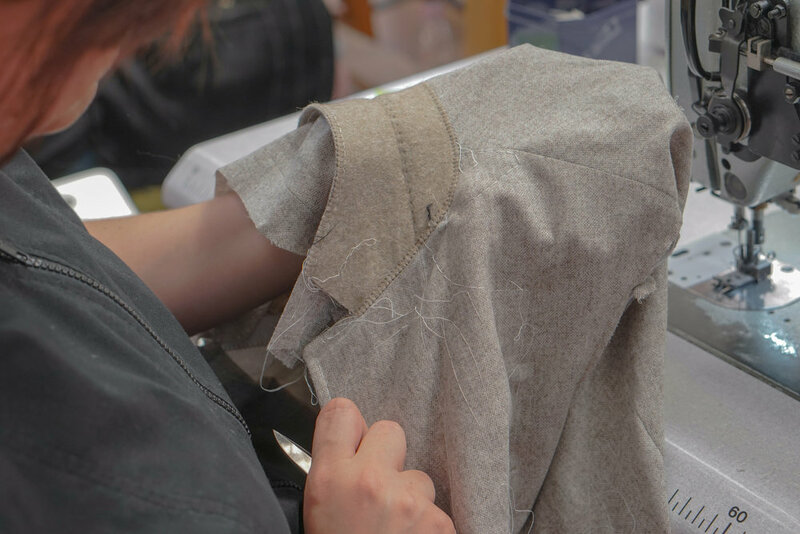 At our highest level, the buttons holes on the cuff, lapel, and front of the jacket are sewn by hand, the lapel buttonhole is a milanese buttonhole, the buttonholes on the cuffs are a single knot, the tacking is done by hand, the edge stitching is done by hand across the entire garment not just the lapels, this includes the trousers, the collar is attached by hand and the lapels are hand-padded - sartorial details rarely practised these days anywhere in the world.